Thanks very much to you and more thanks to Shri Madhavan Namboothiry for his great effort. Brother, I have a malayalam copy of Bharateeya Mahilakal (1972) by Swami Vivekananda (translated by A G Krishna Warrier). Will you get permission of Ramakrishna Math for making ebook for this? Have they given permission for any of their books in the past? I also have their Kuttikalude Vivekanandan (1962). Also, I have a copy of Kashmir Karyangal by K P Kesavamenon (1965) published by Powra Sangham Calicut. An english translation of Kok shastra is also with me. I do have a 1973 edition of K Damodaran’s Bharateeya Chinta, but that’s irrelevant I guess (it’s written in a Marxist view). If I get any old books in future, will sure let you know. It’s our responsibility to preserve these gems for future generations. Hats off to your work. I myself have benefited a lot. Thank you. Kumaran Aasan’s books are all copyrighted I think. I can get old copies if needed. 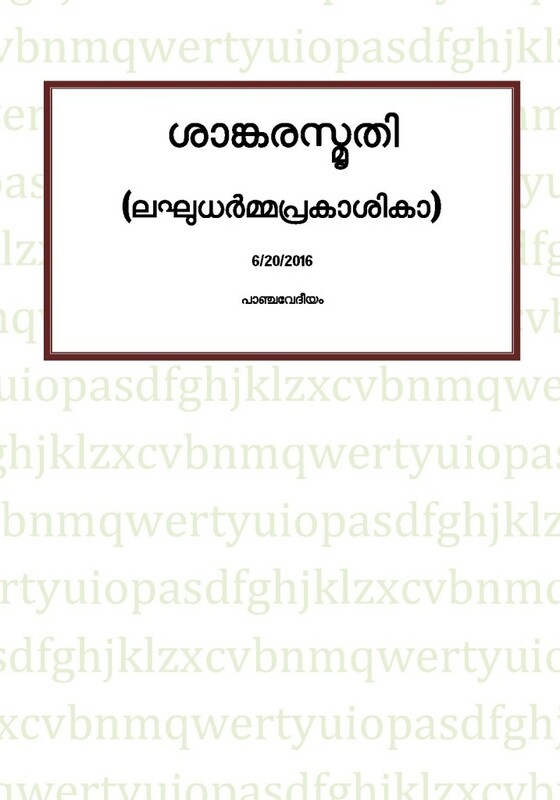 Plus, a Thaliyola copy of Keralolpathhi. It’s already digitised. Kudos to you people.